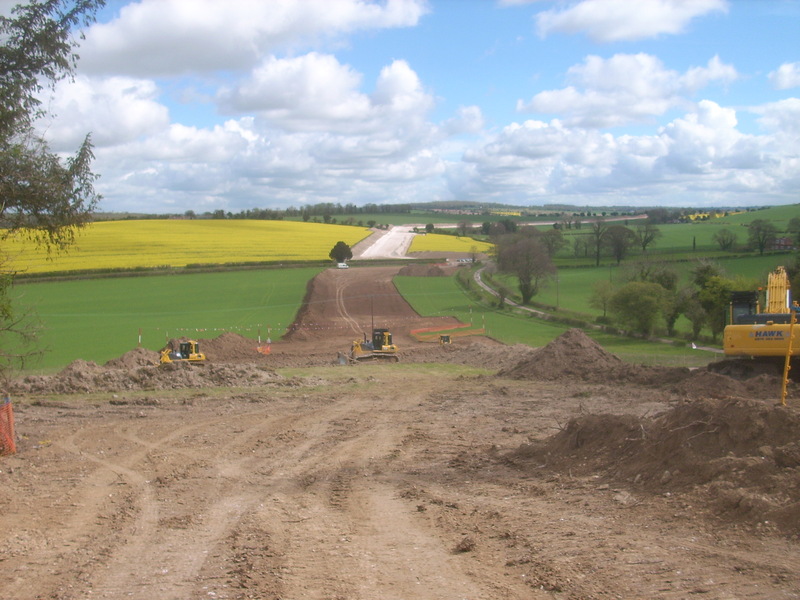 Wessex Archaeology were commissioned by Nacap Land and Marine Joint Venture (on behalf of National Grid) to undertake an archaeological evaluation along the length of a proposed route of a natural gas pipeline, approximately 32km in length. The results of the evaluation led to the identification of nine mitigation areas located on densities of archaeology, and a subsequent watching brief along the entire length of the pipeline. 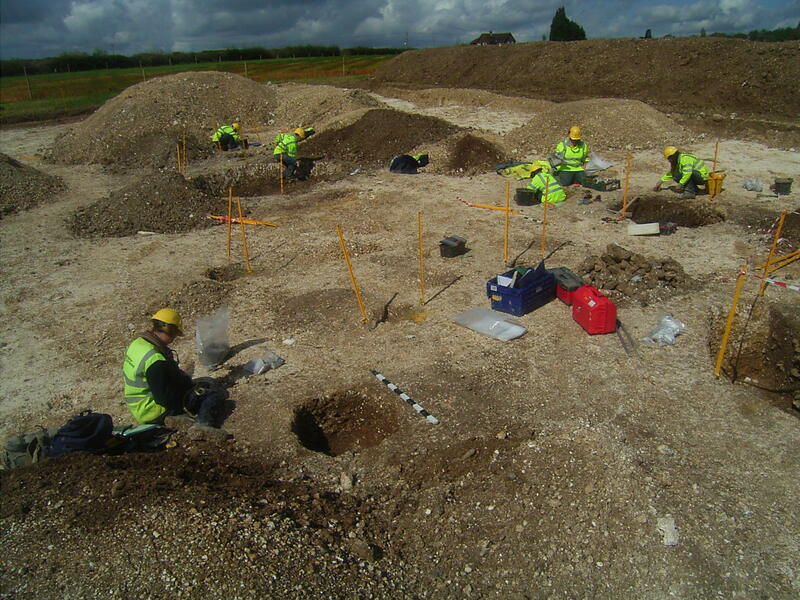 The archaeological works revealed evidence of an abundance of Iron Age and Romano-British activity. This included field systems, particularly noted towards the southern extents of the pipeline, where a large-scale enclosure system was recorded. Such evidence suggests intensive agricultural activity. 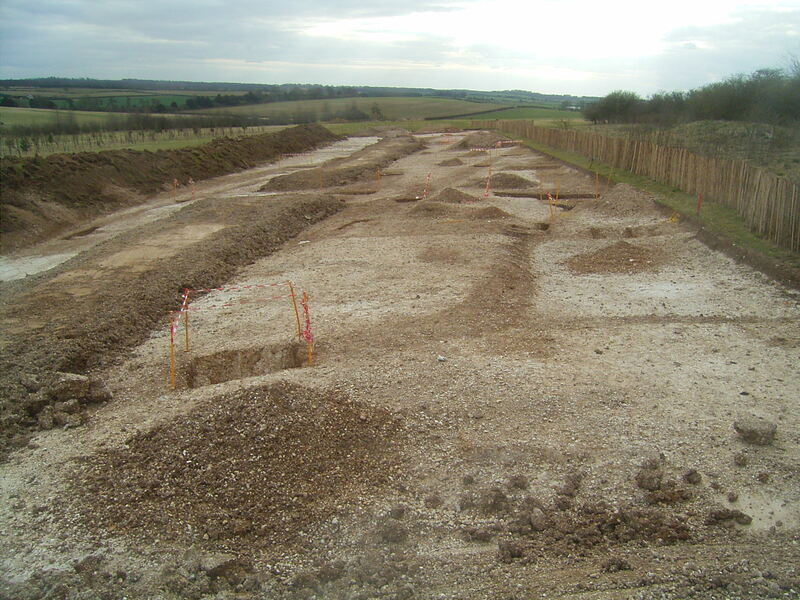 A number of Early/Middle Iron Age inhumation burials, associated with pits of a similar date, were located close to an unidentified settlement dated to the Late Iron Age/Romano-British period, represented by field systems, and boundary ditches. 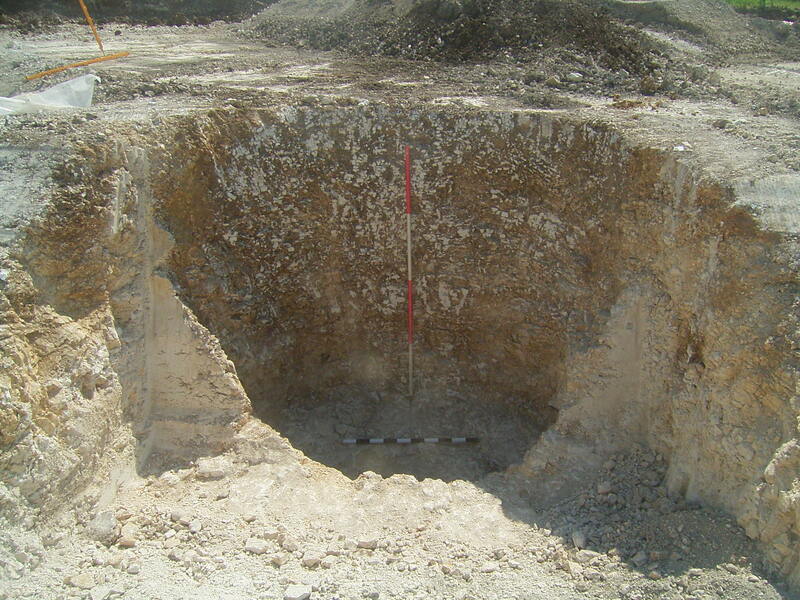 A concentration of Early Iron Age pits were recorded in one of the mitigation sites. Some contained evidence of iron working, evidenced by slag derived from iron smelting. 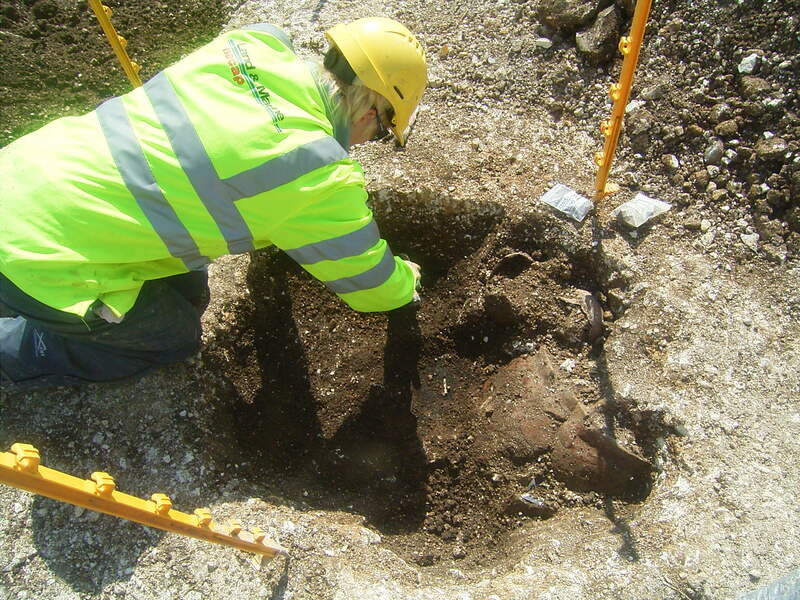 Such evidence is of considerable importance, as only a small amount of prehistoric iron smelting sites have been recorded within Wessex. Other features suggest possible ritual behaviour.